Super Duplex Steel S32750 Spool Fittings, Super Duplex Steel S32760 Spool Fittings Suppling at Oman, UNS S32750 Super Duplex Steel Spool Fittings, UNS S32760 Super Duplex Steel Spool Fittings Exporter at Tanzania, Super Duplex Stainless Steel 2507 Spool Fittings Manufacturing at Albania, Alloy 2507 Spool Fittings Supplier & Exporter in Mumbai India. Alpha Overseas is identified as one of the well-known manufacturer and supplier of Super Duplex Steel S32750 / S32760 Spool Fittings, which has very high resistance to pitting and crevice corrosion. The high chromium and molybdenum content of Super Duplex Stainless Steel S32750 Spool Fittings makes it extremely resistant to uniform corrosion by organic acids like formic and acetic acid. Super Duplex Steel S32760 Spool Fittings is used in Subsea control lines, Fire-fighting systems, Offshore platforms, Heat exchangers, Injection and ballast water systems. UNS S32750 Super Duplex Steel Spool Fittings is also used in Piping, Desalination plants, Mechanical and structural components, High pressure RO-plant and seawater piping. Typical applications of UNS S32760 Super Duplex Stainless Steel Spool Fittings as well include many components for the chemical processing, oil and gas, marine, food industries and pollution control amongst others. 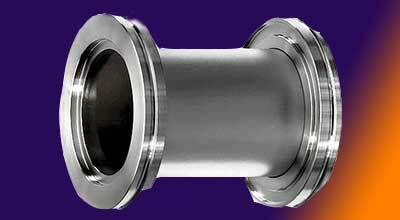 Extended elevated temperature exposure can reduce both the toughness and corrosion resistance of Super Duplex Steel 2507 Spool Fittings. While involving extended exposure to temperatures more than 572 Degree F use of 2507 Super Duplex Steel Spool Fittings is not recommended. ASTM 815 Super Duplex Steel Spool Fittings, Super Duplex Steel S32750 Spool Spool Fittings Exporter at Kuwait, ASTM S32760 Spool Fittings, Super Duplex Stainless Steel S32750 Spool Fittings Manufacturing at Morocco, ASTM S32760 Spool Fittings, UNS S32750 Spool Fittings, UNS S32760 Spool Fittings Leading Manufacturer & Stockist in Mumbai, India. Regarding cold workability in Alloy 2507 Spool Fittings, care is required as proof stress is high and elongation is low in comparison with Type 304. Super Duplex Steel UNS S32750 Spool Fittings also provides excellent resistance to inorganic acids, especially those containing chlorides. 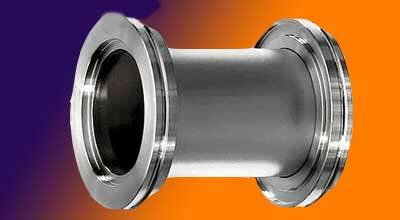 Finally, Super Duplex Stainless Steel UNS S32760 Spool Fittings features high resistance to strong alkalis and resists corrosion in a number of non-oxidizing acids. A Wide Range Of the Best Quality Super Duplex Steel pipe spool definition, Super Duplex Steel pipe spool piece, Super Duplex Steel pipe spool fabrication shop, Super Duplex Steel pipe spool image, Super Duplex Steel pipe spool wiki, Super Duplex Steel pipe spool manufacturers, Super Duplex Steel pipe spool drawing, Super Duplex Steel pipe spool fabrication drawing, tri clamp sanitary spools, stainless steel tri clamp spool, stainless steel spool pipe, pipe spool piece, jacketed sanitary spool, Super Duplex Steel pipe spool image, 1.5" sanitary spool, Super Duplex Steel pipe spool drawing standards, pipe spool fabrication drawing, Super Duplex Steel pipe spool fabrication shop, Super Duplex Steel pipe spool wiki, Super Duplex Steel pipe spool manufacturers, Super Duplex Steel pipe spool hs code, stainless steel spool piece Manufacturer, Supplier in India. We are Exporter of Super Duplex Steel S32750 / S32760 Spool Fittings in Worldwide Such as India, Gambia, Finland, Oman, Qatar, Venezuela, United Arab Emirates, Netherlands, France, Nigeria, Brazil, Azerbaijan, Bolivia, Afghanistan, Peru, Poland, Chile, Jordan, Canada, Japan, Norway, Algeria, Gabon, Namibia, Saudi Arabia, New Zealand, Mexico, Bangladesh, Ghana, Hungary, Bhutan, Hong Kong, Costa Rica, Denmark, Mexico, Nepal, Nigeria, Switzerland, Israel, Spain, South Africa, Argentina, Iran, Ukraine, Philippines, Croatia, Belgium, Russia, Romania, Trinidad & Tobago,Tunisia, Bahrain, Taiwan, Chile, Vietnam, Serbia, Iran, Mongolia, Ireland, Yemen, Bulgaria, Egypt, Pakistan, Sri Lanka, Colombia, Portugal, Poland, Lithuania, Italy, United States, Thailand, Kenya, Malaysia, Belarus, Austria, Tibet, Australia, Iraq, Libya, Ecuador, Estonia, Slovakia, Macau, Sweden, Angola, Morocco, Puerto Rico, Kuwait, Germany, United Kingdom, Kazakhstan, Greece, Turkey, Singapore, Indonesia, South Korea, Czech Republic, China, Lebanon, Zimbabwe. We are Suppliers of Super Duplex Steel S32750 / S32760 Spool Fittings in India Such as Mumbai, Edmonton, Pimpri-Chinchwad, Muscat, Istanbul, Sydney, Bhopal, Noida, Al Jubail, Toronto, Granada, Gimhae-si, Ludhiana, Caracas, Melbourne, Hyderabad, Al Khobar, Chennai, Ankara, Manama, Moscow, Rajkot, Cairo, Howrah, Kanpur, Lagos, Tehran, Ahmedabad, Petaling Jaya, Riyadh, Dubai, Los Angeles, Aberdeen, New Delhi, Bogota, La Victoria, Courbevoie, Visakhapatnam, Abu Dhabi, Algiers, Santiago, Kolkata, Dallas, Gurgaon, New York, Vadodara, Montreal, Pune, Ho Chi Minh City, Bengaluru, Brisbane, Ernakulam, Navi Mumbai, Perth, Lahore, Hong Kong, Dammam, Kuwait City, Rio de Janeiro, Atyrau, Haryana, Singapore, Houston, Hanoi, Busan, Secunderabad, Geoje-si, Ranchi, Mexico City, Vung Tau, Chandigarh, Chiyoda, Madrid, Bangkok, London, Thane, Ulsan, Colombo, Indore, Sharjah, Doha, Nagpur, Kuala Lumpur, Faridabad, Jamshedpur, Jeddah, Seoul, Jakarta, Baroda, Jaipur, Port-of-Spain, Ahvaz, Thiruvananthapuram, Coimbatore, Nashik, Milan, Calgary, Surat, Karachi.